10 ft diameter x 30" (2.5 ft) height. No filter pump is included with the pool. A filter pump would need to be purchased separately. 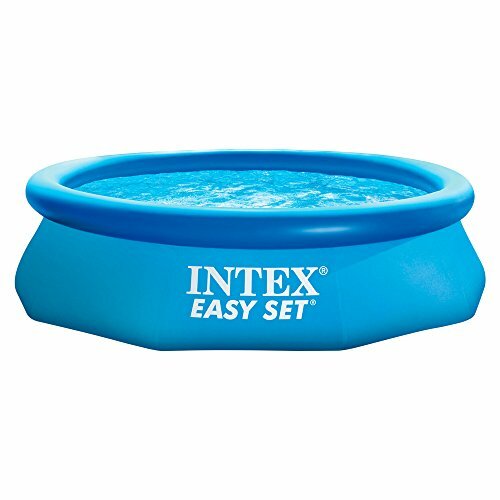 Easy Set pools are very affordable, much easier to set up and disassemble than any rigid steel walled pool. An additional benefit of buying an Intex above ground pool is the knowledge that there is a staff of well trained, in-house consumer service agents ready to answer your questions or assist you should any issues arise after your purchase. * 90 day warranty against manufacturer's defects * Stronger construction * Brand new and 1st quality! * We never sell refurbs, seconds or customer returns. A purchase of this pool does not include a filter pump. A filter pump would need to be purchased separately.